Many things have changed over the years at Quincy Storage & Transfer Company, but a couple of things have remained constant — the family values and amazing team. In fact, team member David Dix has been a truck driver at Quincy Storage & Transfer for more than 30 years. The company has grown by leaps and bounds since David started at the 2nd and Jersey location, and today the expanded company offers state-of-the-art facilities, trucks, and much more. “It kinda gets in your blood,” David Dix said. His favorite things about being a CDL driver for Quincy Storage include having time to raise his two kids over the years, the typically 2-day drives that help him avoid long, monotonous hours, and not seeing the same stuff day in and day out. Each trip is a new experience for David. Quincy Storage is family-oriented and family-focused. Members of management understand when you need to work your schedule around family events and milestones. David applauds the excellent bosses at Quincy Storage, who treat others with respect and live by their open-door policy. He also says you never have to worry about being paid, and that says a lot in the transportation industry. David has been all over the Midwest and as far away as California on his jobs. Although most routes take only 2-days, he says the longer trips have been fun and filled with new sights and sounds. When far away from home, he’s had plenty of time to explore and take time for himself. Hauls have included everything from complete homes to company products. Some of his favorite jobs have been hauling TV/Radio Transmitters when Quincy Storage has worked with Harris Corporation. 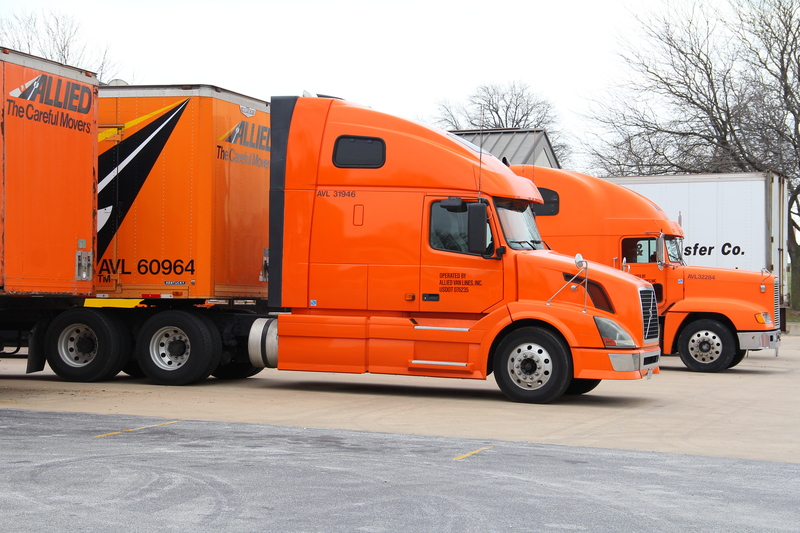 Quincy Storage continues to grow, and David encourages CDL drivers to apply for open positions. The best thing about hiring more truck drivers is that each driver can be more selective in the routes they can take. If you’re new to CDL, David says you can make a good living at driving. It just all depends on you and the commitment you’re willing to make. Bob Casburn and other bosses will respect you as long as you’re doing what you’re supposed to be doing. Better yet, Quincy Storage is willing to train new drivers! The Quincy Storage team is full of opportunity and fun. If you’re interested in joining David Dix and the rest of the team as a CDL driver, contact Bob at rcasburn@quincystg.com today!